Holidays are a great time to gather with friends and family for a relaxing lunch. And a buffet lunch is always ideal. You can take your time and fully enjoy the afternoon without worrying so much about time and all the usual work-day and school-day concerns. For those reasons and more, the SQUARE’s new Holiday Seafood Lunch is a terrific choice on any Thai public holiday throughout the year. *On Thai public holiday 12:00 pm. – 3:00 pm. Downtown Bangkokians already know the SQUARE at Novotel Bangkok Ploenchit Sukhumvit as a fantastic spot for buffet lunch. Now, with Holiday Seafood Lunch, not only those downtowns but from anywhere in the city can enjoy a leisurely and delicious mid-day meal. 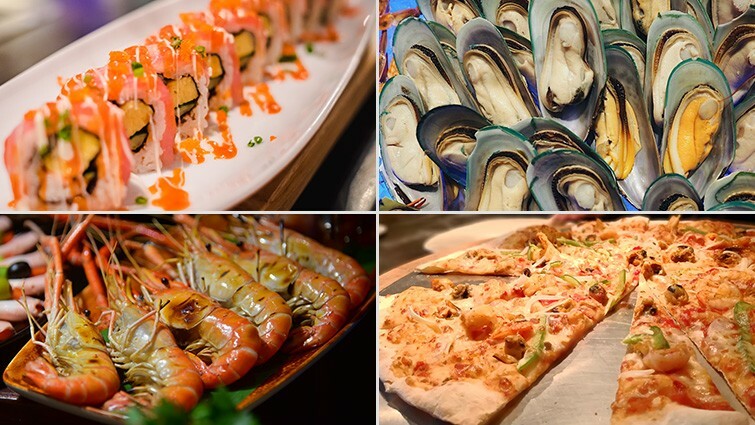 Seafood menu highlights include seafood on ice with blue crab, white prawn, New Zealand mussel and black mussel; salmon in a salt crust; Japanese live station with sushi and sashimi; and much more. Fans of grilled seafood can order up fresh river prawn at the buffet’s charcoal grill station for à la minute preparation. Fruits of the sea may be a focus during Holiday Seafood Lunch but there’s always more on every lunch buffet at the SQUARE. 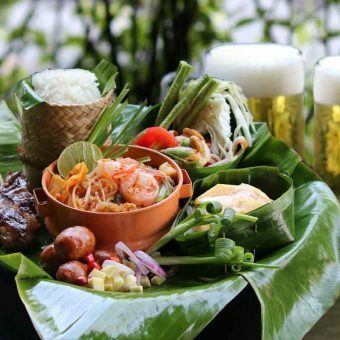 Among wide-ranging cuisine, selections are roast leg of lamb with bread stuffing, barbecued ribs and ham, Indian curries, Chinese dishes and of course many Thai favourites. Although on holidays the traffic may not be so bad, you don’t want to spend too much time getting to lunch. 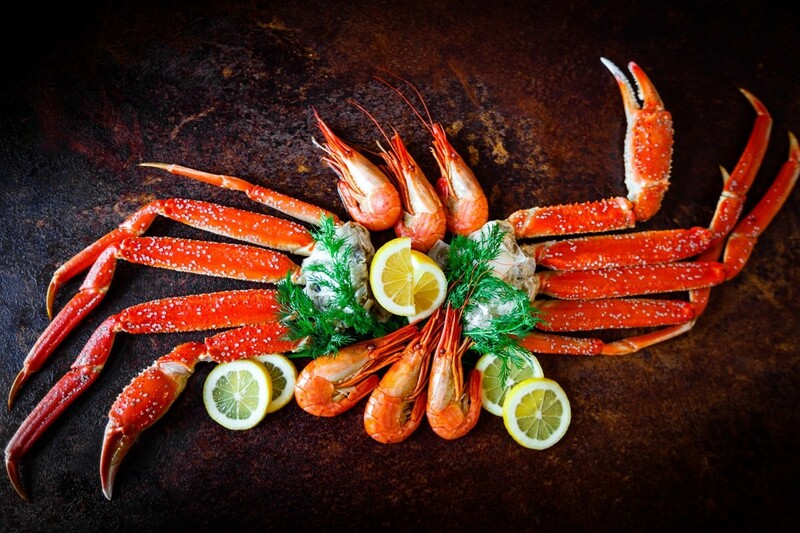 That’s another reason why Holiday Seafood Lunch at the SQUARE is great. Whether you’re already downtown or will be arriving from various parts of the city, our location will keep you in a relaxed holiday mood. We’re in Novotel Bangkok Ploenchit Sukhumvit directly adjacent BTS SkyTrain – Ploenchit Station, so using public transport is a breeze. If you’re driving in, we’re just off Bangna-Daokanong Expressway (take Sukhumvit-South Ploenchit exit), with indoor parking for buffet guests in the hotel’s car park. 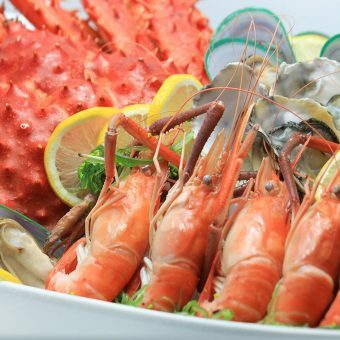 Holiday Seafood Lunch is available every Thai public holiday at the SQUARE, Novotel Bangkok Ploenchit Sukhumvit. Served from 12.00 p.m. to 3.00 p.m.
THB 1,100++ including free-flow soft drinks. Special offer: Up to 50% discount for guests who book online.